Why do we welcome dogs into our home? Perhaps to get more exercise, to teach children about responsible pet ownership, or for company. Dogs provide wonderful companionship, form strong emotional attachments and even read our facial expressions. But the intensity of this relationship means some cannot cope without us and develop separation anxiety. True separation anxiety, while not common, is a serious condition. These dogs will become worried when you are dressing for work, and follow you around the house. Signs include barking, destructiveness, anxiety (drooling, panting, whining, pacing, trembling, shaking), house soiling, appetite suppression and attempts to escape. They are not being naughty; they are frantic without you. Such dogs require veterinary assessment, possible anxiolytic medication and a tailored behaviour modification programme. Prevention is better than cure and steps can be taken to help avoid these problems developing, starting when puppies. A puppy needs to learn home alone contentment. To build coping skills feed all his meals out of stuffed Kongs (preferably in his covered crate, door open) and whilst he is occupied leave him for a few minutes. Gradually build up the time he spends alone, but always give him an activity he can enjoy when you leave. Rather than shutting the room door to prevent access to you, a baby gate is less isolating. Consistently leaving your puppy with a stuffed Kong teaches him to look forward to your departure. Departures and reunions should be fairly low key. Carefully consider where you leave your puppy. Provide a relaxing environment – a puppy with access to a window overlooking a busy road for instance, may find this too visually stimulating and learn to bark at passers by. Music can help to sooth your puppy: Margrit Coates Music for Pets* and Through a Dog’s Ear* melodies have been specifically designed with relaxation in mind. A Pet Remedy plug-in and t-shirt/Thundershirt may also provide reassurance in your absence. Introduce coping measures when you are at home. This is so your dog can form a positive attachment to comforters without them becoming associated with the anxiety of your departure. Assess the durability of any activity toys to ensure your dog cannot be harmed when alone. Separation anxiety is more likely to develop in adolescence and is more common in rescue dogs. Chewing is not necessarily a symptom of separation anxiety; it can be a result of boredom or simply that something appealing was left out! Behaviour problems can surface at any time. 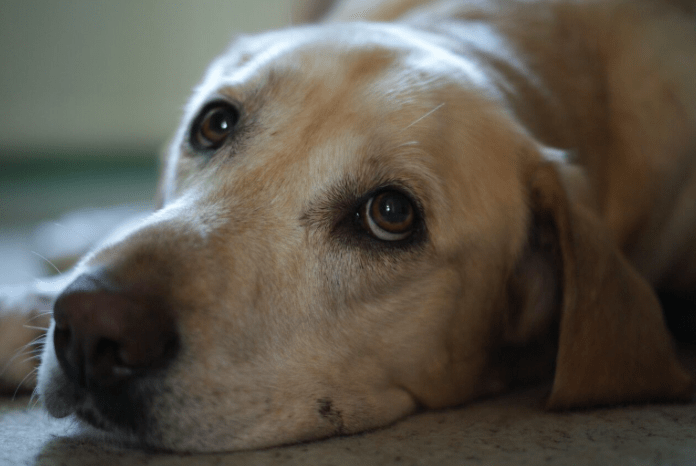 Illness or old age accompanied with loss of faculties can make some dogs more anxious when left. Don’t wait until a problem arises! Whatever his age, it is never too late to enrich your dog’s environment when home alone. Ref: McConnell, P (2010) I’ll be Home Soon, McConnell Publishing Ltd.